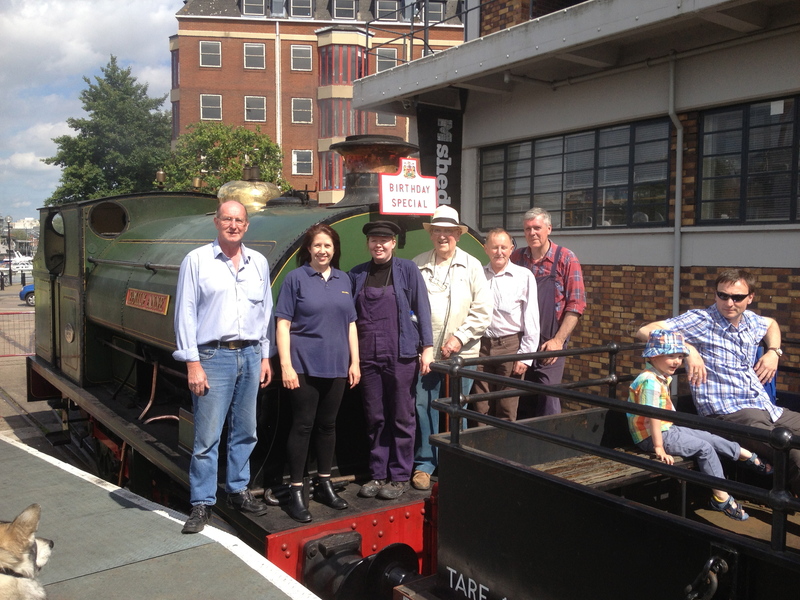 On Saturday 29th June the BHR team celebrated one of our volunteers’ 18th Birthday. 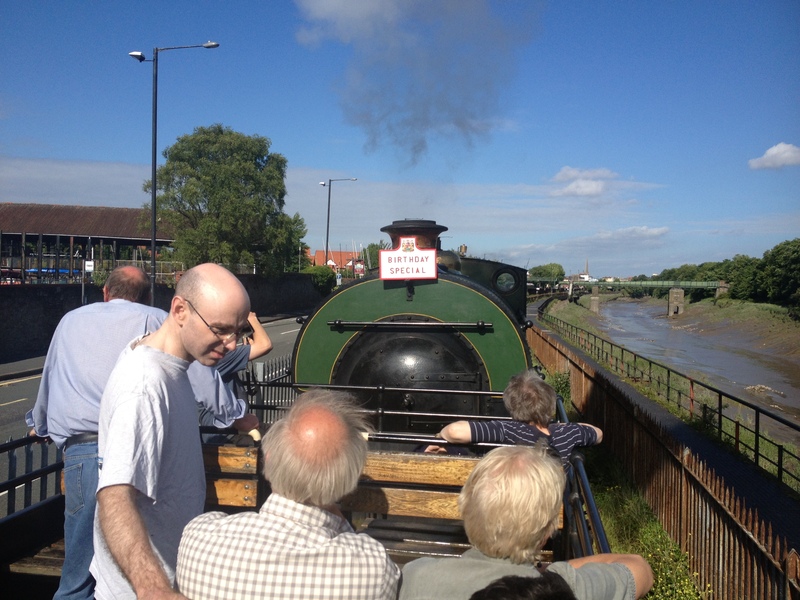 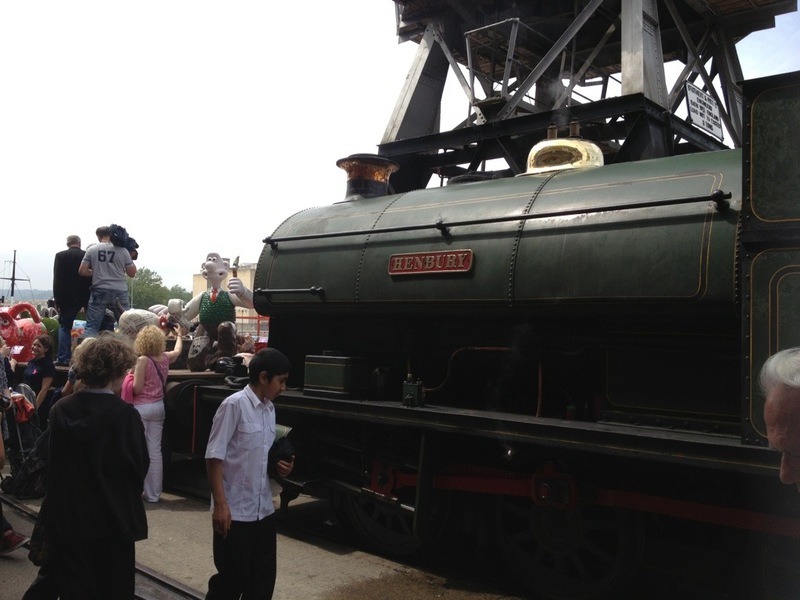 ‘Henbury’ was renamed ‘Emily Anne’ for the day and wore a ‘Birthday Special’ headboard. 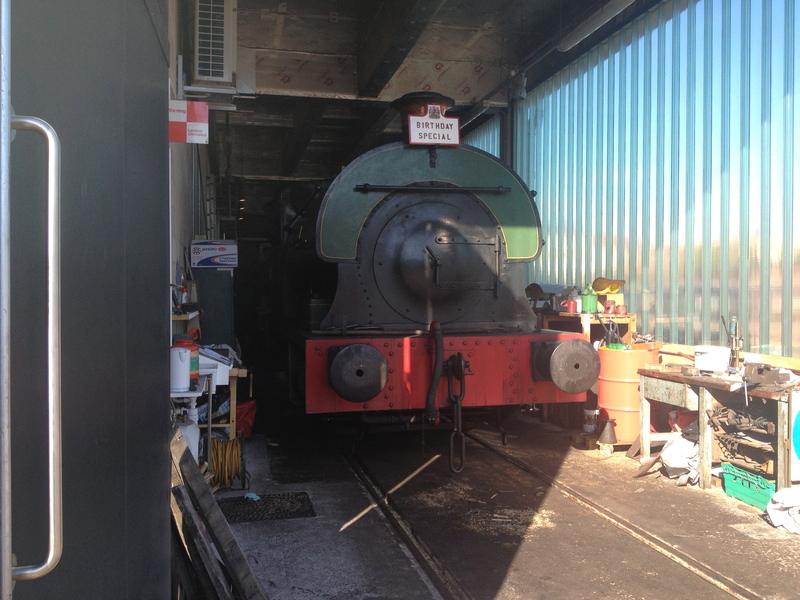 Henbury is dragged out of the shed by the front loader. 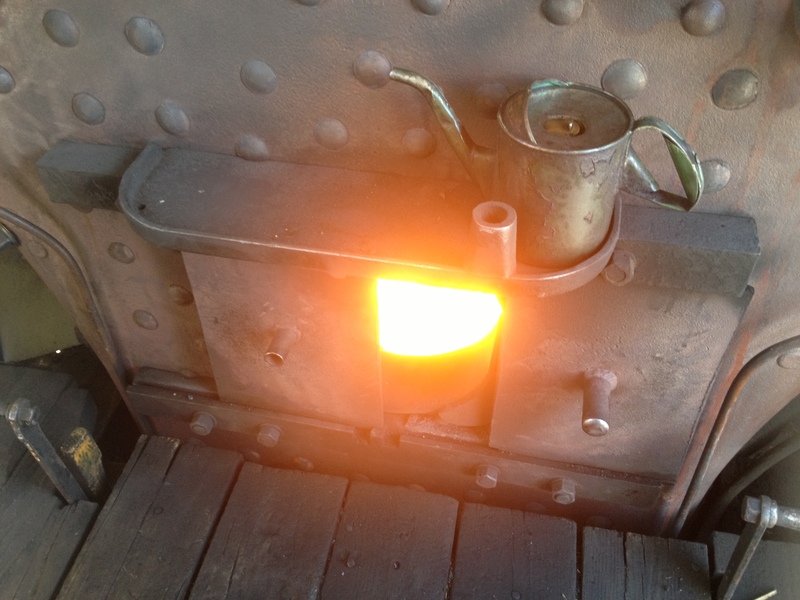 Morning checks, and the fire is lit. 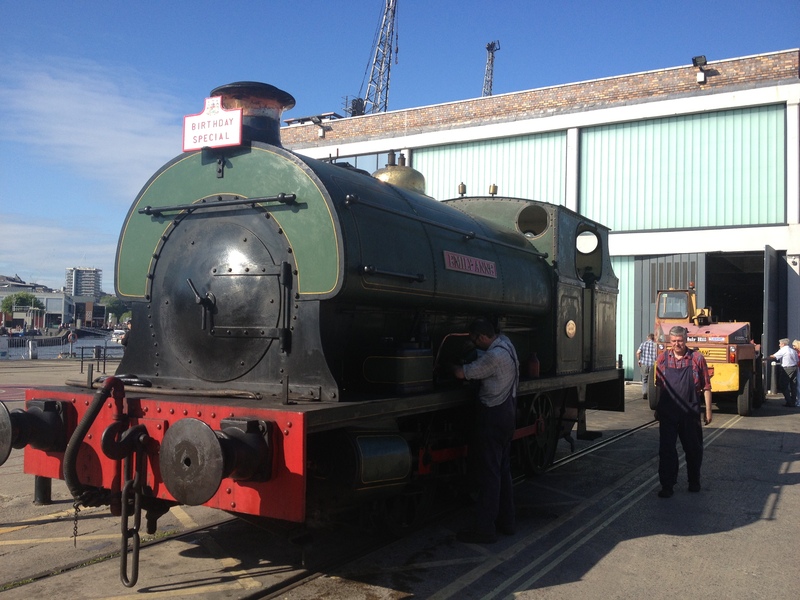 Some shunting was necessary as the Weltrol wagon used for ‘Gromit Unleashed’ on Friday needed to be shunted back into the long siding, and the passenger train reassembled. 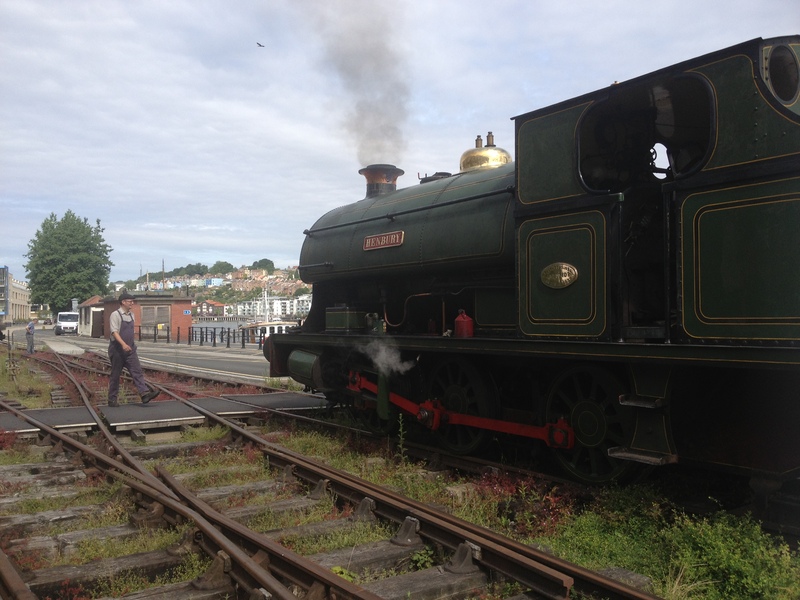 At the end of the day, the fire is dropped and Henbury/Emily Anne uses the last of her steam to return to the shed. 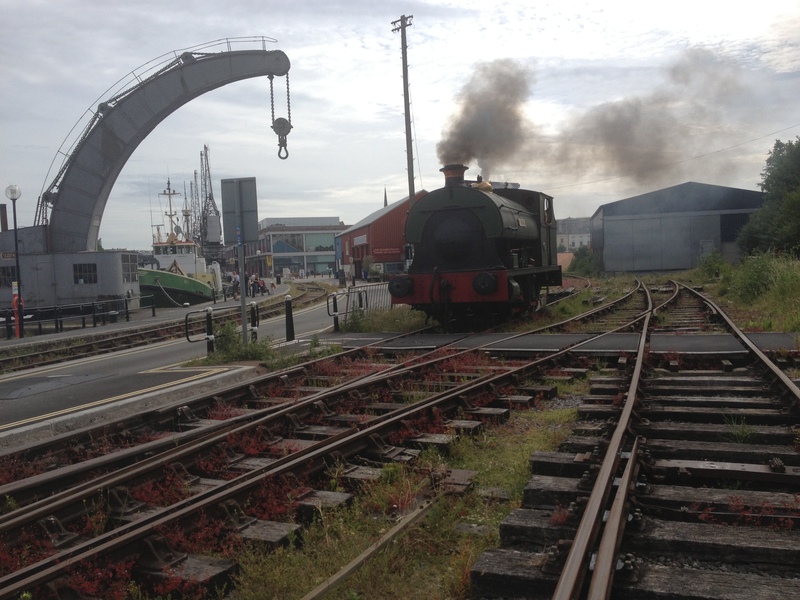 Unfortunately, ‘Portbury’s return to service has been delayed a bit. 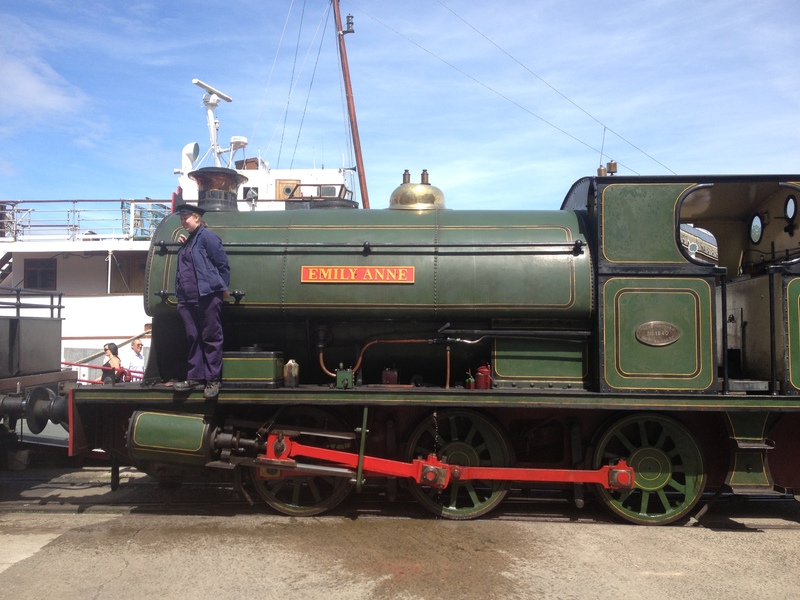 Hopefully she’ll be back in steam before the end of the year and ready to take over from her stablemate, as ‘Henbury’ will be withdrawn for her ten-year overhaul in July 2014. 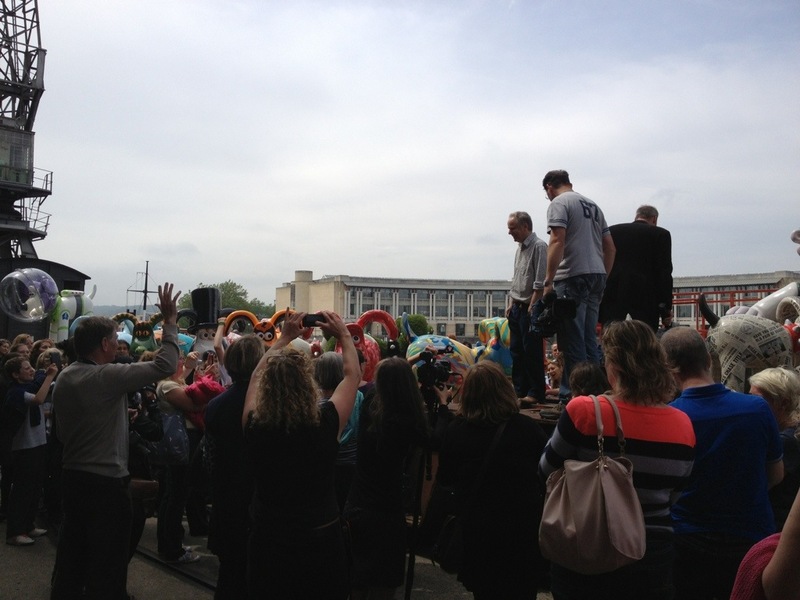 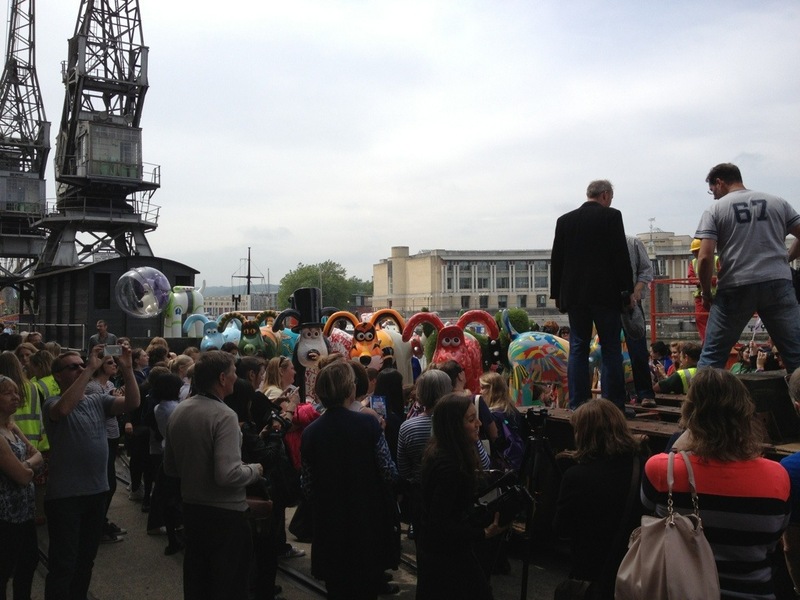 Cycled down to the quayside in my lunch break as a launch party for Visit Bristol’s ‘Gromit Unleashed’ project was underway. 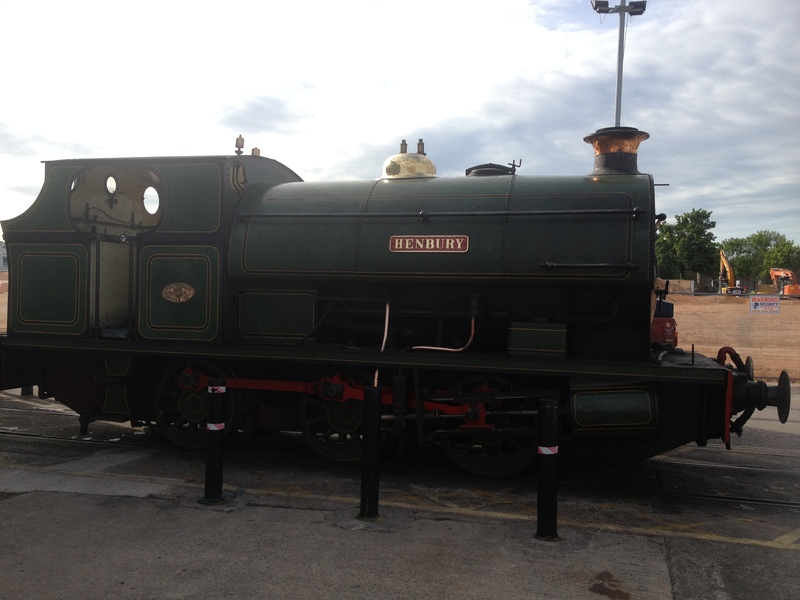 Several decorated Gromits were on a flat wagon pulled by ‘Henbury’. 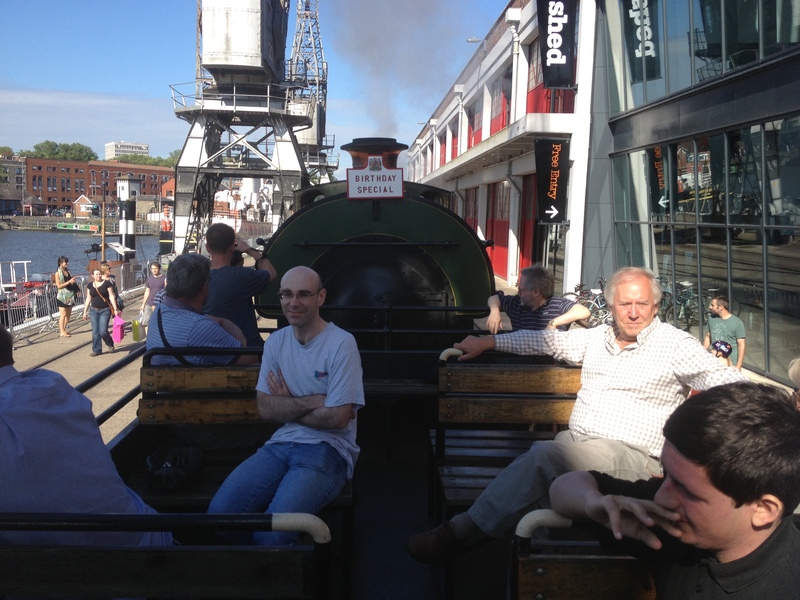 I called in at ‘The Cathedral’ (M Shed MPD) on the way from work today and met Chris, who will be taking on the role of General Manager from David Martin, who has been there since the railway’s inception in 1978. 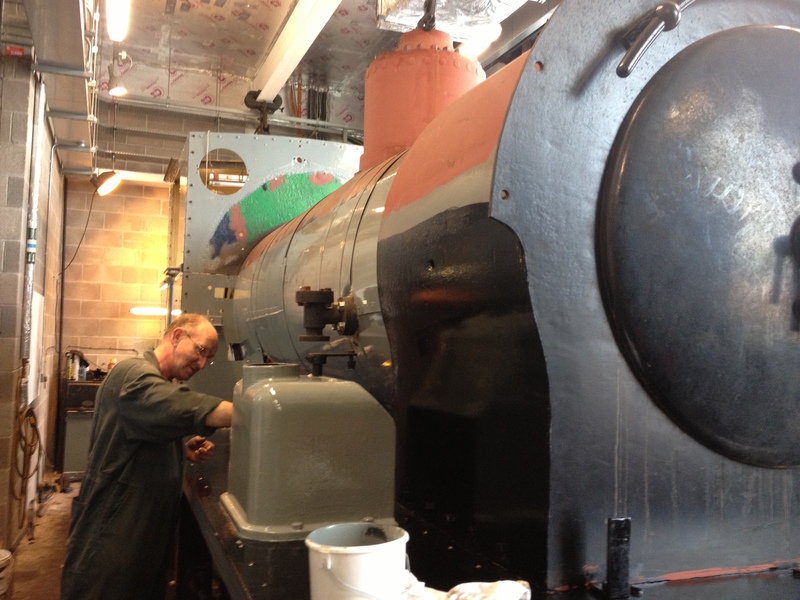 Chris was repainting much of ‘Portbury’ as she was being reassembled. 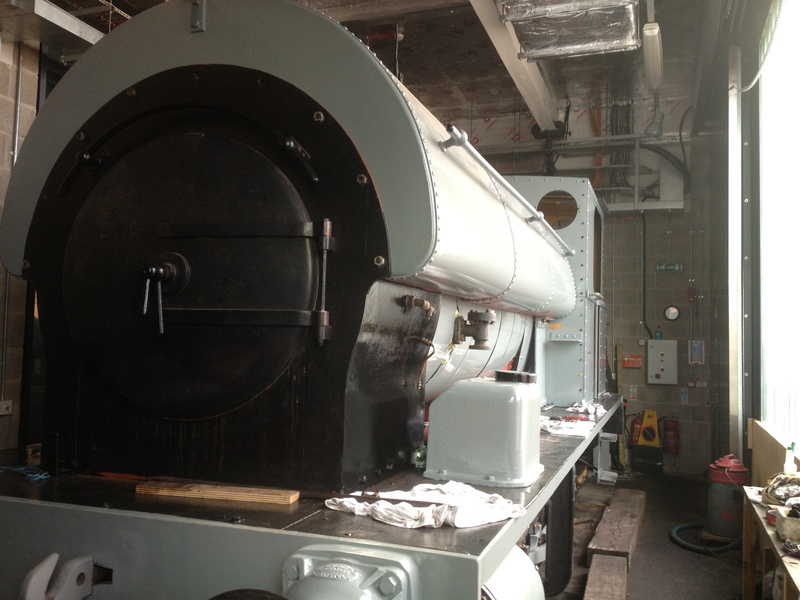 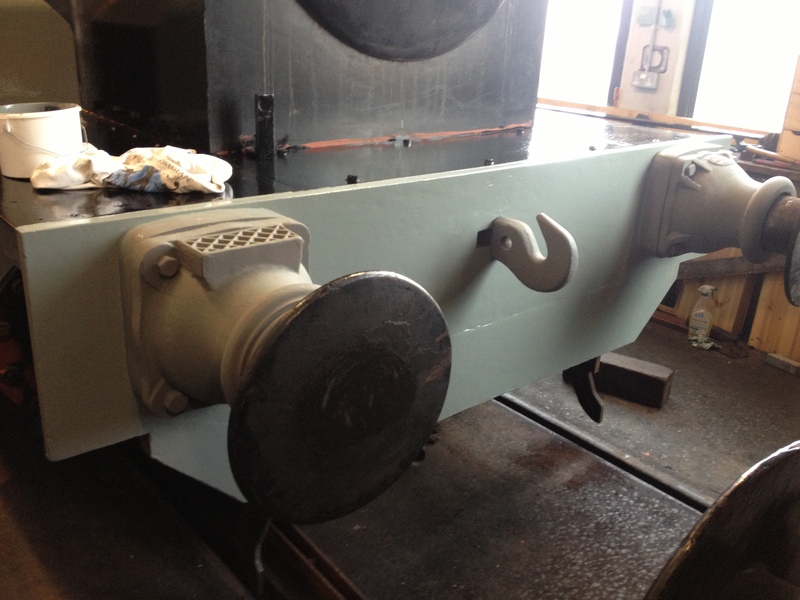 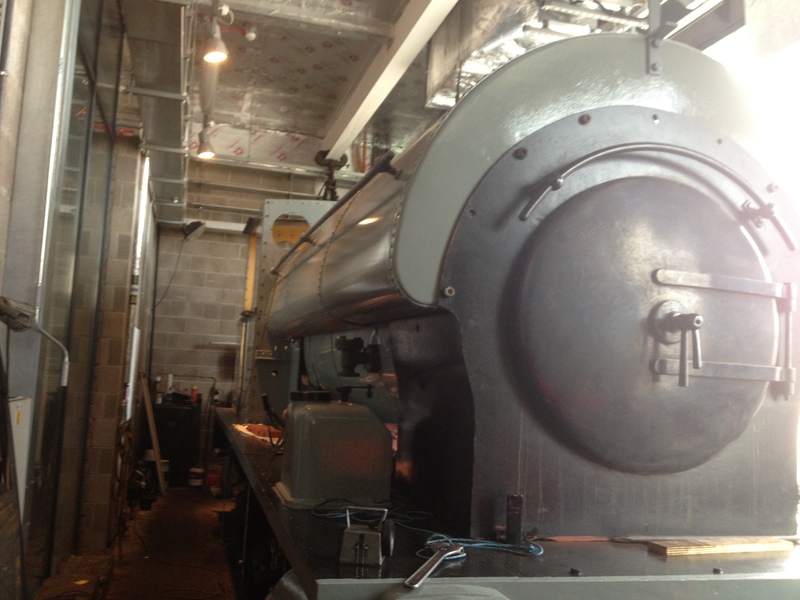 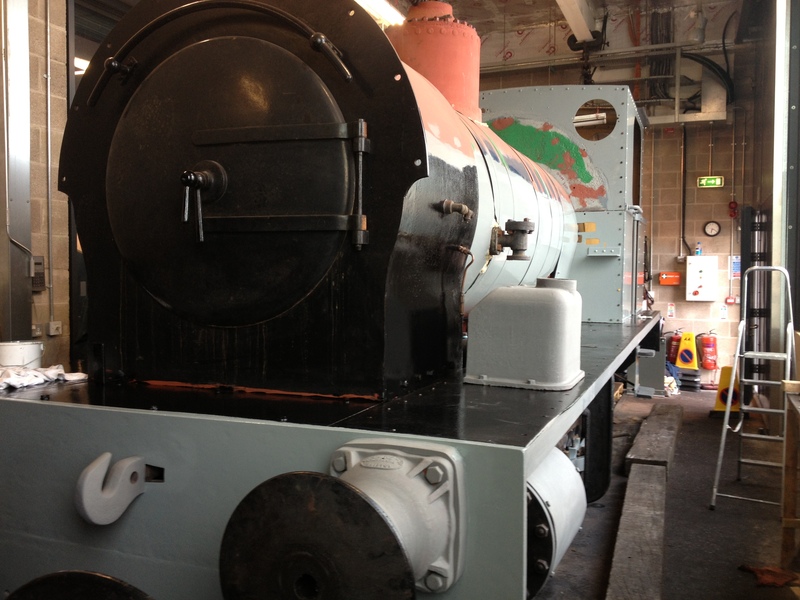 The hope is to get her ready in time for the Harbour Festival, but the aim is not to rush unnecessarily as ‘Portbury’ will be taking over from ‘Henbury’ as the sole steam locomotive when ‘Henbury’s boiler ticket expires in July 2014. 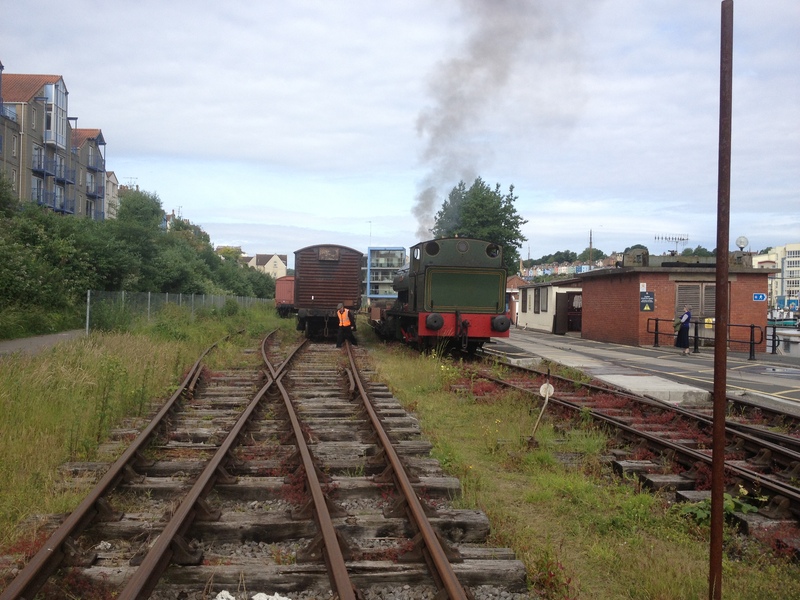 2012 saw the double track section from the main yard to SS Great Britain Halt singled. 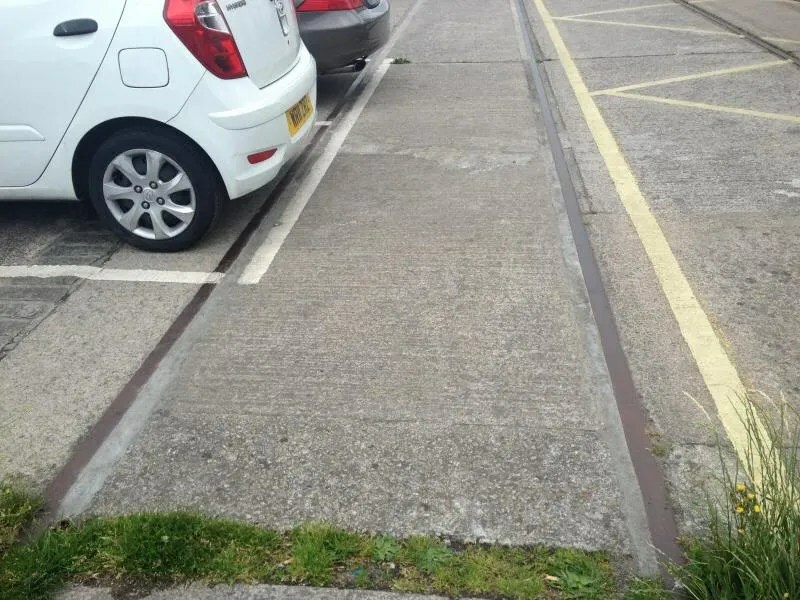 The dock-side line has not been used for years (part of it is used for residents parking and it runs very close to Brunel’s Buttery). 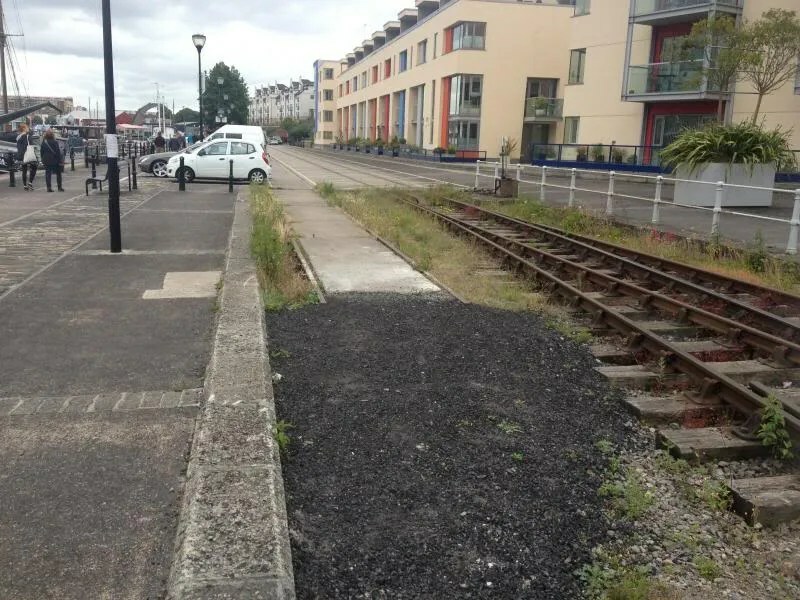 In order to make the road safer for cyclists, the rails on the disused line have been infilled and the set of points at the halt have been removed for re-use elsewhere. 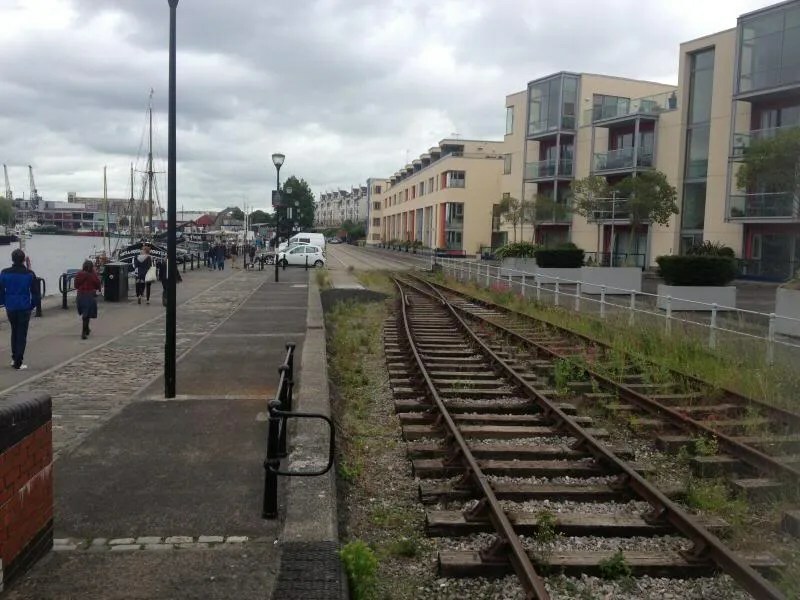 Tragically, in March this year a cyclist lost control and fell into the harbour, 2 bystanders jumped in to help but he died at the scene. 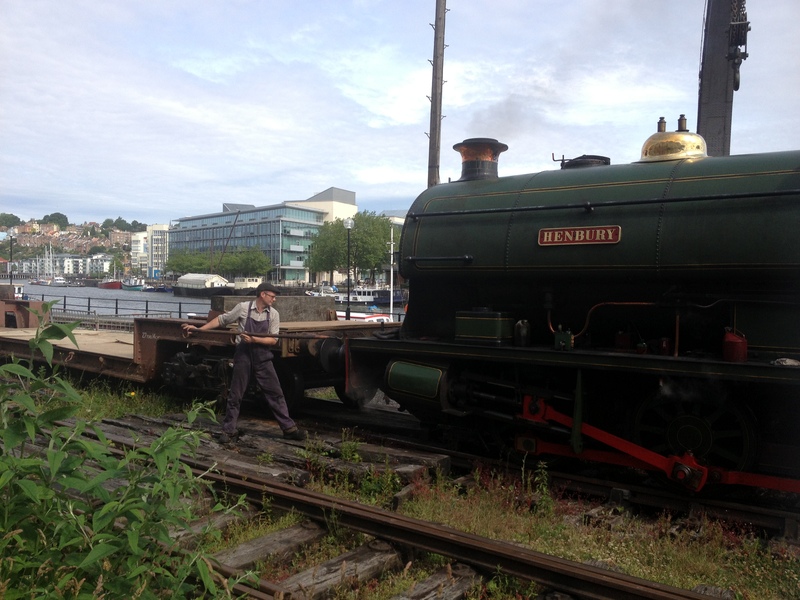 The man was a well known charity fundraiser, and was without his personal trainer on a route he was not familiar with, early in the morning. 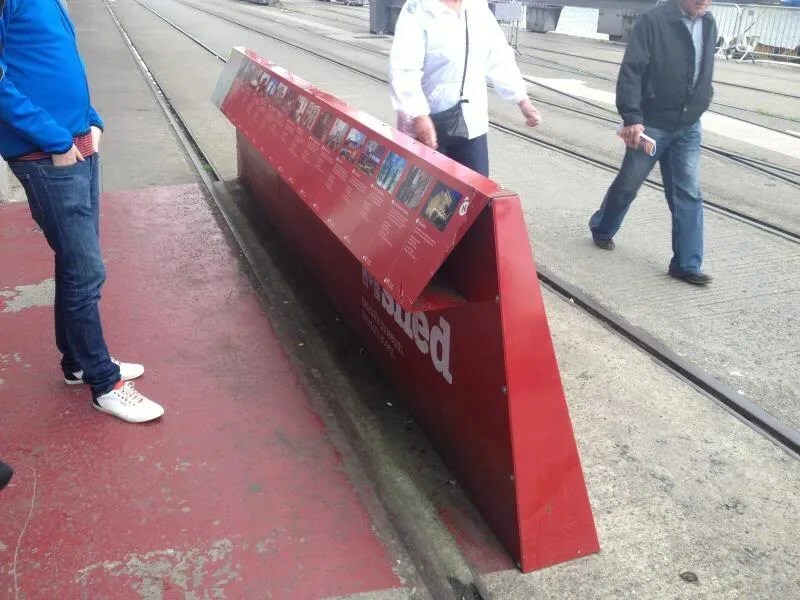 This is a very unfortunate occurrence and deeply saddening. 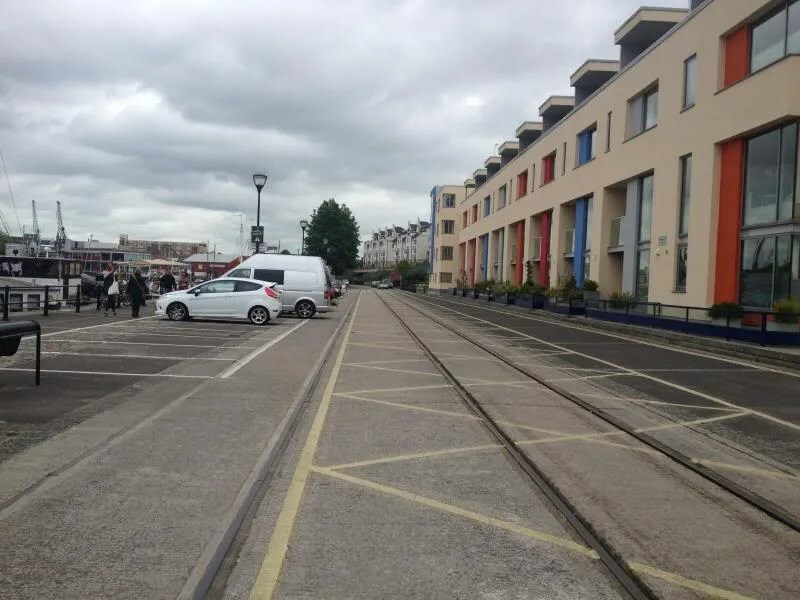 Temporary fences have been installed along the quayside outside M Shed while the debate on building permanent barriers is reviewed.